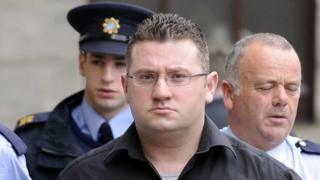 A Dublin court has ordered the extradition to Northern Ireland of former republican paramilitary Declan Duffy. The 43-year-old is wanted in Northern Ireland to continue serving a life sentence for murdering a soldier. Duffy had been serving the sentence for the Irish National Liberation Army (INLA) murder of Army sergeant Michael Newman in Derby in 1992. He was released on licence in March 2013. However, Duffy was arrested by gardaí (Irish police) in December 2015 and was jailed for six years in January last year for falsely imprisoning a man in County Dublin. On 6 June 2016, the under secretary of state for Northern Ireland revoked the republican's licence and recalled him to prison. A European Arrest Warrant (EAW), was endorsed by the High Court in the Republic of Ireland in 2017. Duffy is originally from Armagh, and joined the INLA in the 1980s. At the hearing at Dublin High Court his address was given as Hanover Street West in Dublin. His barrister had argued that since Duffy has been revoked of his licence, sending him back to serve his full tariff would be "double punishment" as he has already served "what was deemed by the Sentence Review Commissioner to be an appropriate sentence". However, a lawyer for the minister for justice said: "The facts of the matter are simply, Mr Duffy pleaded guilty to the offence of murder, he acknowledged the conditions of the licence. "Is there anything abusive or oppressive about seeking his surrender to serve the balance of the life sentence lawfully imposed?" On Monday, Justice Aileen Donnelly ruled that Duffy can be extradited to Northern Ireland to continue his life sentence for murder. However, the judge postponed the extradition until he completes the six-year sentence he is currently serving in the Republic.